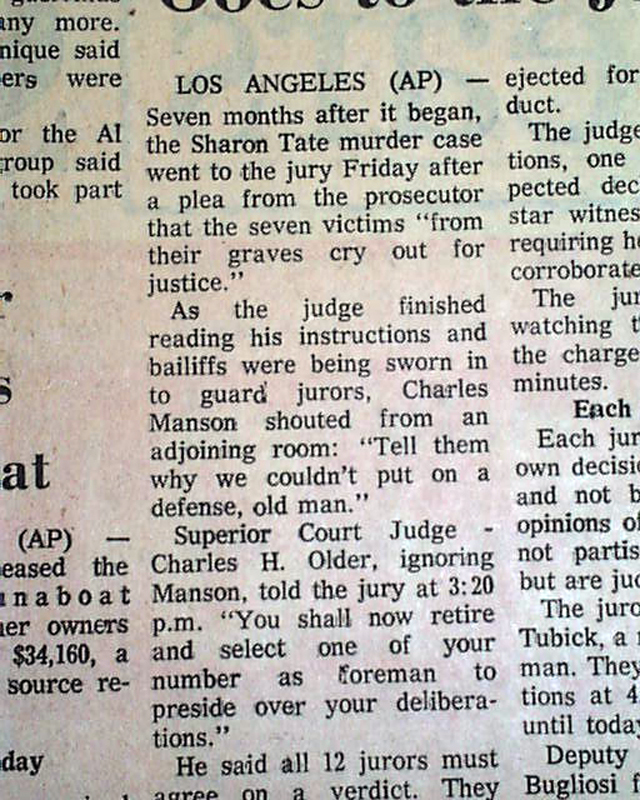 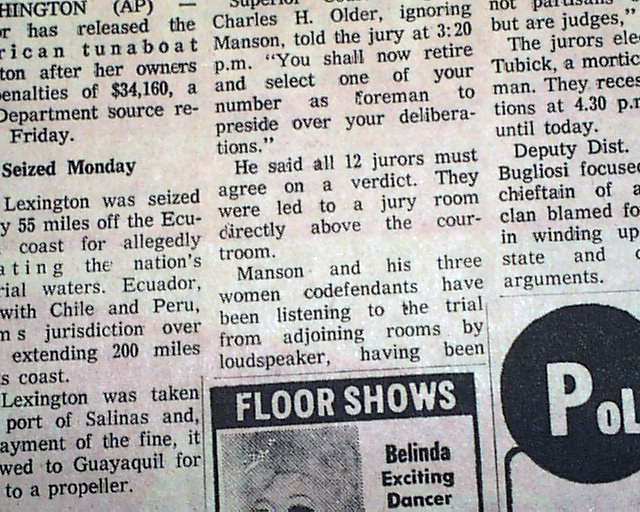 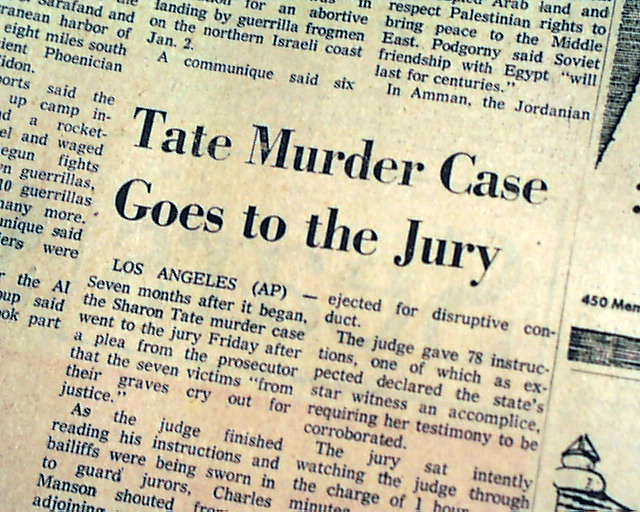 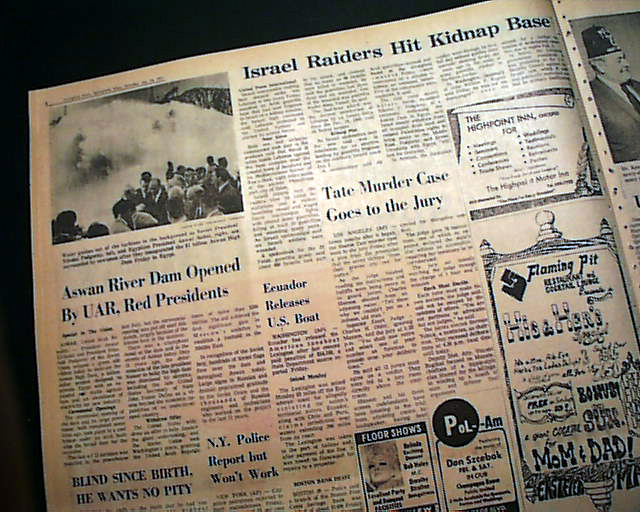 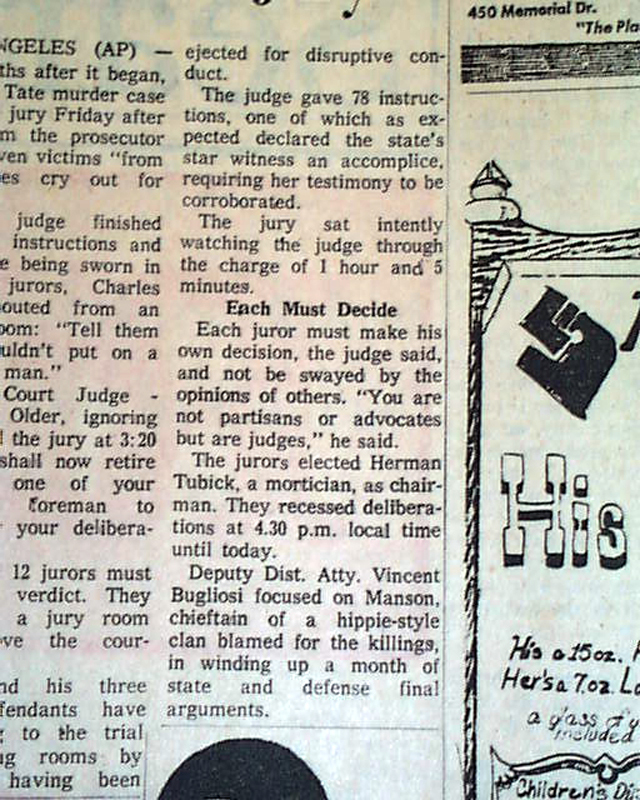 This 36 page newspaper has a two column headline on page 8: "Tate Murder Case Goes to the Jury," which tells of the ending of the murder trial involving Charles Manson and his 3 women followers. 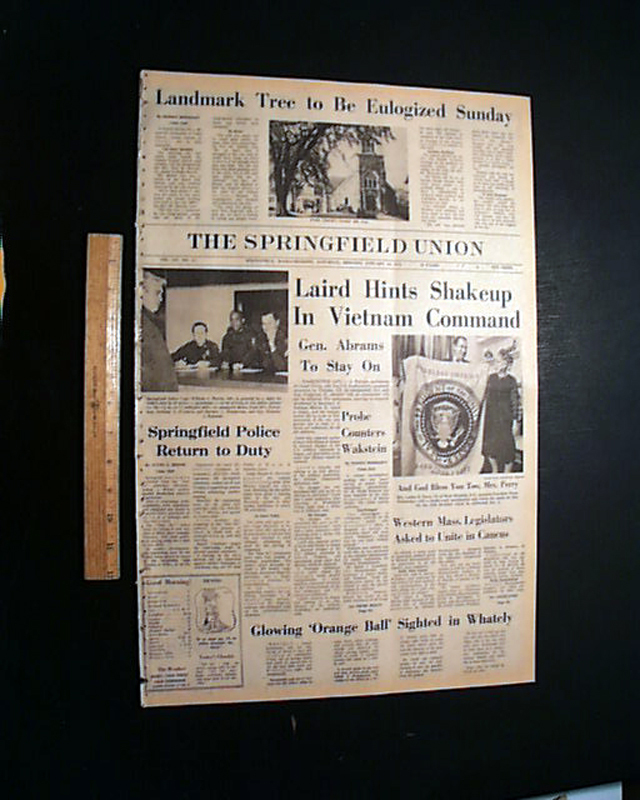 Complete in 36 pages. 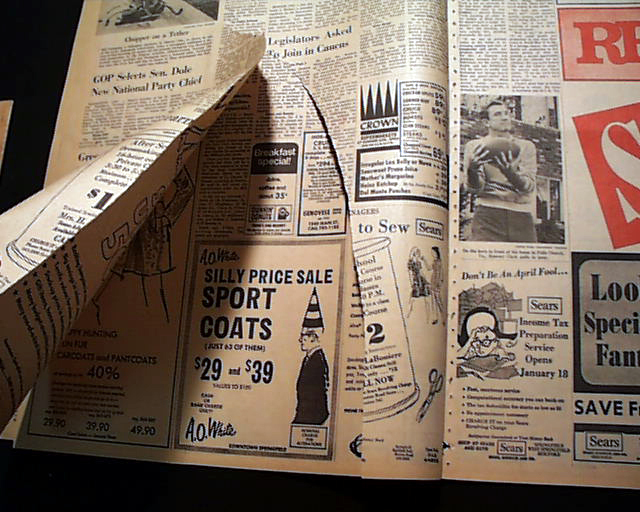 A large tear on an unrelated page (see image), a little spine wear, but otherwise in good condition.